Malayalam News Channel Ratings 2016 Can be check from here, Asianet News is the leading channel in Malayalam News Segment. 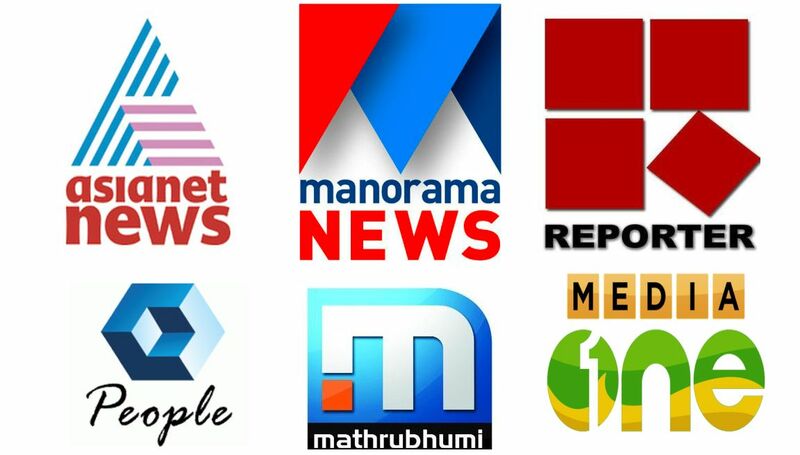 Every week keralatv.in is updating about malayalam gec ratings, this time we can check malayalam news channel ratings. Asianet news is the leader in this genre, manorama news is at second positions. Mathrubhumi News channels is at third Positions with 36.10 Points. Media One is at 4th Positions and Reporter TV at 5th Positions. We are also attaching Ratings of Music channels and Movie channel ratings here. We TV, Kappa TV, Surya TV, Janam TV , Kochu TV etc ratings can be check from here. From the chart you can see that Asianet news is the leading Malayalam news channel. People TV is at bottom positions under Reporter TV. Newly launched Malayalam Channel News18 Keralam Ratings not Available this Moment. After Manorama, Mathrubhoomi, Kaumudy and Media One, Mangalam also planning to launch channel. Managalam TV test signal started and it will be launch soon. This is the ratings of malayalam news channel, kids channel, music and other channels. Kochu TV is getting more points in holiday seasons. We can’t update news channel ratings every week, lot of our readers asked for this data.